The BMW 1 Series has an all new design, with an exterior that sets itself apart from its rivals in the same category. Coming in 3 or 5 door versions, petrol or diesel the options provide a version to suit all. Once again BMW has risen the bar in terms of innovations, especially in the interior. All models feature the next generation TwinPower Turbo engines, providing more when you need it for your driving pleasure. The BMW 1 Series comes in various models such as the SE, M Sport and Sport versions. Driven by innovation the 1 Series features a wealth of industry leading technology. You can tailor your car to your needs and lifestyle. The famous BMW navigation pack now comes as standard on all models. Also coming as standard are an array of safety features including Forward Collision Warning, City Collision Mitigation, Lane departure Warning and finally Preventative Person Protection. Other stand-out features of the 1 Series include Park Assist and Remote Services, allowing you to lock or unlock your car form a distance of course if this fails, you can always get a lock specialist to fix it for you, view your cars location and more. With a stunning new design and a wealth of new features the category leading 1 Series yet again leads the others in both style, comfort and performance. 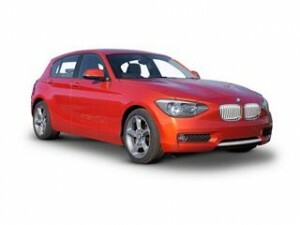 Financing your BMW 1 Series has never been easier as well with Coast2Coast cars. Offering exclusive savings on new BMW’s.